The annual event of Touch Taiwan 2018 trade show is to kick off in Taipei from August 29-31, with a theme to highlight Taiwan's latest developments in micro- and mini-LED technologies and related products. The annual event of Touch Taiwan 2018 trade show is to kick off in Taipei from August 29-31, with a theme to highlight Taiwan’s latest developments in micro- and mini-LED technologies and related products. 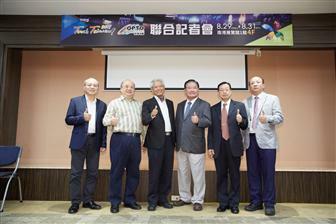 The three-day trade fair, which will be held together with OPTO Taiwan 2018, will accommodate exhibits from 475 companies in a total of 1,200 booths that will also showcase the manufacturing prowess and the supply chain capabilities of Taiwan’s display, phototronics, semiconductor and smart manufacturing industries, according to sources from the show organizers. At an special exhibition area dedicated to micro LED/mini LED products, exhibitors are to showcase relevant devices, solutions, key components and materials, as well as automated optical inspection (AOI) equipment, driver ICs and, particularly, those equipment designed for mass transfer of LED chips. A number of companies are participating in the event for the first time rolling out products, applications and solutions to support the advancement of the micro- and mini-LED technology and development. These companies include Epistar, Lextar Electronics, Macroblock, Topco Scientific, NationStar Optoelectronics and Otsuka Information Technology. There are also special pavilions dedicated to different subjects, including a space for “commercial displays and digital signage applications” to highlight products and solutions for commercial applications. A gallery of “smart displays and digital signage boards” is dedicated to promoting applications related to smart traffic control, smart retailing and smart meditation.